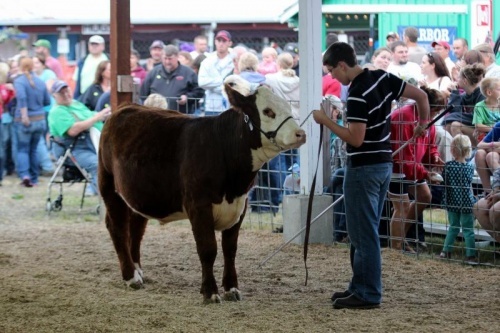 MENLO - The Pacific County fair is just around the corner and it's time to start planning ahead for a week of fun, from August 20-23! 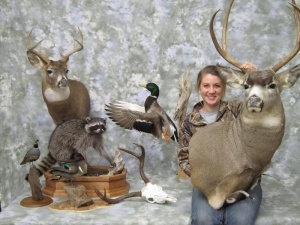 Jeni Maakad of Ruttin' Ridge Taxidermy shows off some of her mounts. In this picture, the deer are incomplete, still in need of some finishing touches with paint. SOUTH BEND - Twenty-four-year old Jeni Maakad is new to South Bend, but is bringing a trade that many locals cherish – taxidermy. 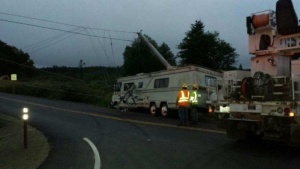 Pacific County PUD checks out the motor home wreck on Lily Wheaton Road early last Wednesday morning. The wreck took out two power poles and knocked out power to some Menlo residents for almost 12 hours. A wreck on Highway 6 last Wednesday morning, July 16 took out two main power poles and knocked out power for almost 12 hours in the Menlo area. The Pacific County PUD put up new poles and had the power back on by 3 pm Wednesday afternoon.